Posted on April 10, 2019 | 582 views | Topic : Property News. 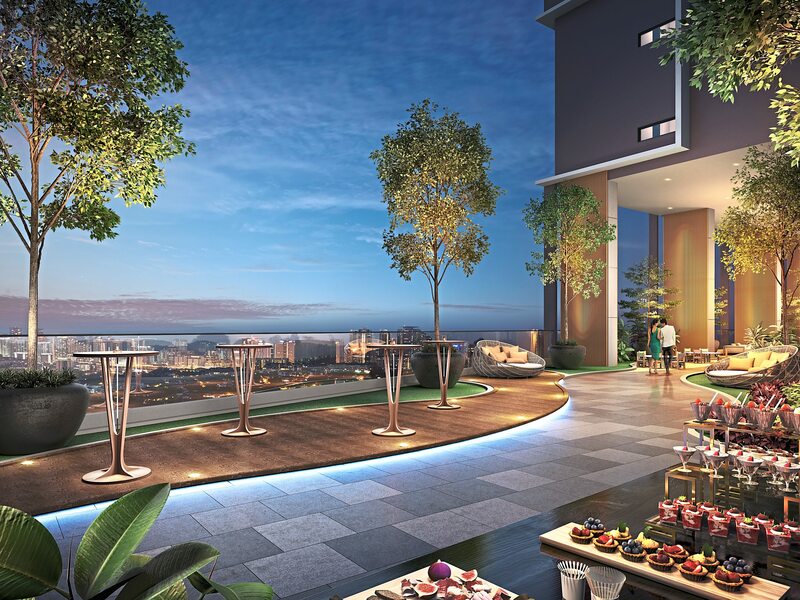 The most striking feature of The Peak by Gabungan AQRS Bhd is its setting – prominently perched on the highest point in Johor Baru City Centre (JBCC) and overlooking Singapore. The low-density luxury serviced apartment project sits on 5.5 acres of commercial freehold land. Its two 39-storey interconnected buildings comprise 668 apartments with built-ups from 947sf to 2,200sf. Although sited on one of the last remaining freehold plots in JBCC, Gabungan AQRS chose to buck the trend by designing The Peak as an ultra-low density project. The Peak is an ultra-low density residence with only two to four units per floor in a premier location. With only two to four units per floor at a premier location, The Peak offers functional sizes of 947sf to 1,217sf that will suit young executives who can opt for a two-bedroom Suite, 2+1 bedroom Executive Suite, or 2+1 Panorama Suite. For buyers seeking a higher level of exclusivity and privacy, the three types of Sky Villa from level 22 onwards will exceed their expectations. Only two units per floor and built-up starting from 1,948sf, every villa is a corner unit that enjoys unobstructed views. The Sky Garden Villa features a large triple-volume height balcony that allows residents to transform it into a private sky garden while the dual-key Sky Villa, which is divided into two independent units, is perfect for multi-generational families or an owner exploring investment opportunities. Gabungan AQRS is now relaunching the project with special rebates. 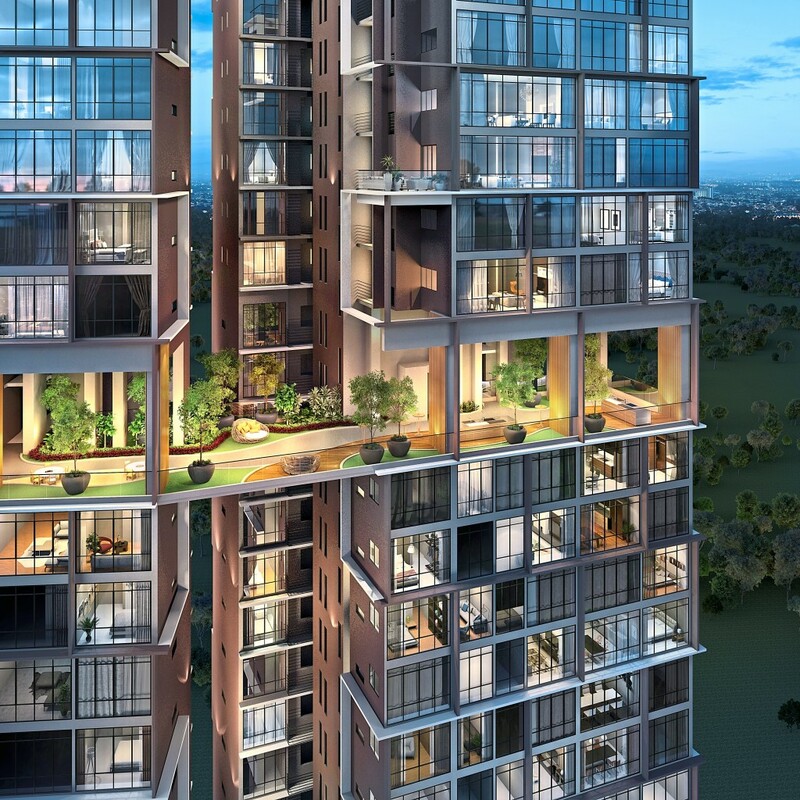 “The two-bedroom Suites are priced from RM520,000, while the Sky Villas and Sky Garden Villas are starting from the competitive pricing of RM487psf during the promotion period,” said Azizan. Also, the first 150 buyers will enjoy free maintenance for two years. All units in The Peak are semi-furnished with branded fittings such as Signature Kitchen cabinets and wardrobes, Kohler bathroom fixtures, and air-conditioning. The units also come with a smart-home system, with access for specific areas controlled by a mobile phone app. High above on levels 20 and 22 are the two Sky Clubs with facilities such as outdoor gym, viewing point, Sky BBQ and Sky Dining areas. Aside from its natural setting and the luxury features, The Peak’s location in the heart of JB offers residents a myriad of lifestyle facilities nearby. The project is easily connected to the Eastern Dispersal Link, Tebrau Highway, North-South Highway and Pasir Gudang Highway. Residents will also enjoy plenty of quality amenities within a 6km radius, including the new Mid Valley Southkey Megamall, Ikea, golf courses, hospitals, and international schools. Security features at The Peak will be state-of-the-art, with three-stage integrated security technologies to ensure peace of mind. At its core is the perimeter and location CCTV that works in tandem with guard patrols. The development also features PrimeXcess, a keyless system that allows residents to access the guard house, boom gates, lift lobby and facilities decks via a single mobile application. “Given the luxury features, strategic location and competitive pricing, we are confident that The Peak is top on the value-for-money list. Similar types of property in the surrounding area are already being transacted above RM1,000psf,” added Azizan. Two exclusive home ownership plans – “Reside Before You Decide” and GBG Cashback – are now available for buyers of The Peak. “Reside Before You Decide” is a rent-to-own option for the buyer to move in by paying rental for 36 months before signing the SPA. The home price will be locked for 36 months, and the rental will go towards reducing the actual loan sum. The buyer will also enjoy a 10% rebate. While the GBG Cashback will provide a higher rebate of 14% for units with the view of Singapore and 16% (JB view) on the property price, as well as additional cashback savings totalling RM90,000 over 36 months. Qualified purchasers could enjoy a low monthly repayment period for the first 36 months. The Peak is now at the stage of interior installation and expected to meet its completion date in Q3 of 2019. Over 30% of units in The Peak have been bought by locals as well as foreigners. Another upcoming project by Gabungan AQRS is the lakefront E’Island Lake Haven@Puchong, slated to be launched by the end of April. 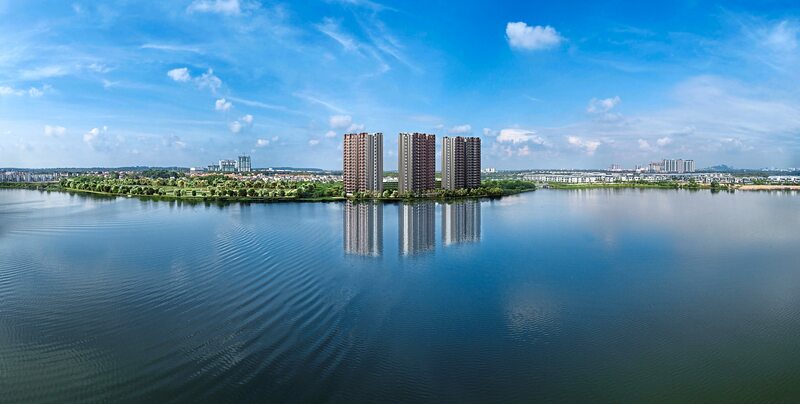 Located in fast-growth Puchong, E’lsland Lake Haven is a lake-view leasehold residential project that offers 1,140 units ranging from 881sf to 1,099sf and priced from RM295,000. Despite its competitive price points, E’island Lake Haven units are semi-furnished with branded fittings including four air conditioners, Signature Kitchen cabinets and wardrobes, along with a wet kitchen for selected units. The upcoming E’Island@Puchong features waterfront residences, with affordability and natural beauty being strong selling points. “E’Island Lake Haven@Puchong is designed to address the concern of market affordability. About 90% of the units are priced under RM400,000,” said Azizan. The first 500 buyers of E’Island Lake Haven@Puchong will enjoy higher rebates on the property price and two years of free maintenance.